A new crew for Admiral, Amur has the eye of the tiger, Kunlun falter under Keenan, and Avangard fights a rearguard action. 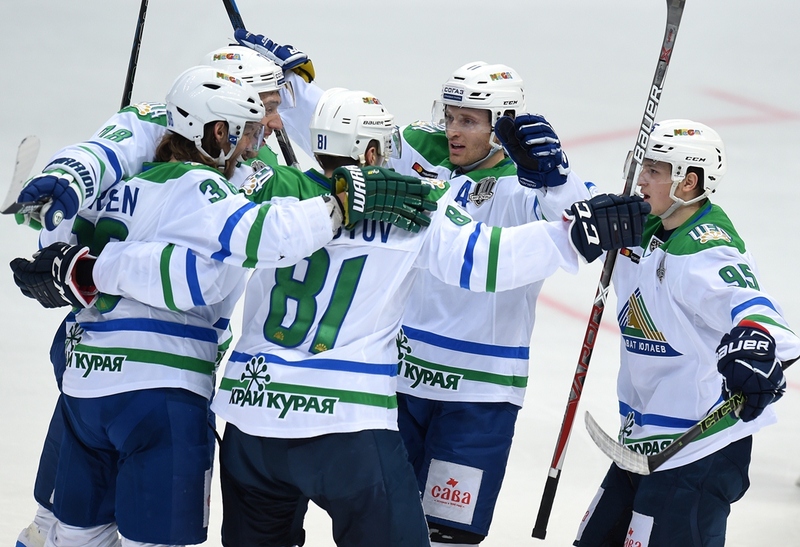 KHL.ru takes a look at the varying fortunes of the teams in the Chernyshev Division. Last summer the Ufa club appointed renowned Finnish specialist Erkka Westerlund as head coach, but for quite a while the team struggled to perform with any consistency. Predictably, the rumor mill began working double shifts, and there were whispers that the coach and general manager Leonid Waisfeld would soon be departing the club, but the team worked hard and gradually started to iron out the problems and find its rhythm, possibly helped by a fiery speech to the fans by defenseman Zakhar Arzamastsev. Mr. Waisfeld nonetheless left the club before the Olympic break, and the team has still not secured its playoff spot, although the Ufa Men top the Division and it would take something akin to a mathematical miracle for them to fail to make the post-season. And with the recent reinforcements from Admiral, the roster is one of the most balanced in the Eastern Conference. Salavat Yulaev has every chance of enjoying a long and exciting playoff campaign. A “season of two halves” for Sibir. Under the reign of Pavel Zubov, the team failed to produce the kind of hockey or the kind of results which the Novosibirsk public expect, and when winter arrived the management decided it was time for a new man in charge. In came the highly experienced Vladimir Yurzinov, and the team underwent a transformation, spurred on by the tremendous form and prolific scoring of Swedish pair Alexander Bergstrom and Patrik Zackrisson, both showing some of the best hockey of their careers. The match against Avangard - 7th-versus-8th with just a point separating the teams – should decide whether Sibir's season will stretch into the playoffs. A regulation-time win in Omsk would guarantee the Novosibirsk Men a place in the knockout stage, but neither this nor the final regular season match against Traktor will be a stroll in the park - the Chelyabinsk team still has a chance of rising to fourth place in the Eastern Conference. Back in the summer, Andrei Skabelka signed a three-year deal as Avangard head coach, but the Belarusian specialist was shown the door in his first winter. In came German Titov, former boss at Metallurg Novokuznetsk and Spartak Moscow, but injuries to leading players took their toll: former New York Islanders forward Johan Sundstrom played three matches before taking a knock which ruled him out for most of the season, and Nikolai Lemtyugov had his spleen removed. The Omsk Men should be at full strength by the time the last pair of games comes around, and the first of these, against Sibir, is likely to prove crucial. Avangard simply has to take points from that encounter in order to have any hope of making the post-seaon. The final match is against Barys, who will be playing for pride alone, so all is in Avangard's hands if they want to avoid the dubious accolade of being the season's most unexpected failure. Following the arrival last season of Andrei Martemyanov as head coach, Amur began to produce some highly attractive hockey, and before this campaign got underway the wiser pundits predicted that the team from Khabarovsk might be a contender for a playoff place. From the very first day, Amur has battled commendably for that prized spot in the top eight. There have been defeats, of course, but the “Tigers” still managed to produce attractive, entertaining hockey. 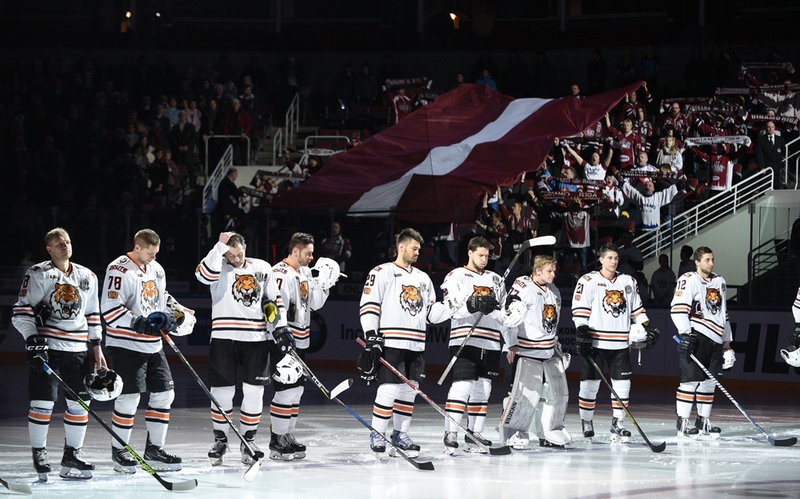 The unexpected heroes of the Amur revival have been Alexei Byvaltsev and Oleg Li, both producing the finest hockey of their careers, while Juha Metsola continues to perform miracles between the pipes. The regular season ends with two games against Far East rivals Admiral, who already cannot qualify for the post-season, so only a brave or foolish man would bet against the Khabarovsk team securing only its second ever appearance in the KHL knockout stage. The men from Astana made an impressive start to the season, and many voiced a feeling that Barys could be one of the favorites in the Eastern Conference. The team continued to ride high in the standings right up until the first pause in the schedule, the break for the Karjala Cup, but the neforced absence from the ice seemed to disrupt the team's rhythm and momentum. The few victories came further further apart, the slide down the standings accelerated, and the management decided to say goodbye to head coach Evgeny Koreshkov and install in his place Galym Mambetaliyev, who had been on the Astana coaching staff. Soon the club terminated the contracts of Linden Vey and Matt Frattin, and any remaining chance of a playoff place faded and died. On the positive side for Astana hockey fans, the city received widespread praise for its successful staging of the 2018 KHL Week of Hockey Stars. Admiral managed to keep the skeleton of its roster from the previous season intact, but the club started the season badly and then grew steadily worse. The early results were not ideal, but most agreed that the team was still producing some good hockey. Nevertheless, the management decided a fresh approach was needed, and head coach Alexander Andriyevsky was replaced by his Swedish assistant, Fredrik Stillman. The results did not improve, and there were departures from the club management. The new people in charge of the club wanted sweeping changes, and soon there was an exodus of players, including top scorer Vladimir Tkachyov as well as Ivan Nalimov, Oskars Bartulis, Dmitry Sayustov, Pavel Makarenko, Robert Sabolic and Jonathon Blum. The role of head coach also resembled a carousel, with Andrei Razin taking charge of team affairs but leaving after barely two weeks. This was not a season the Vladivostok public will want to remember. 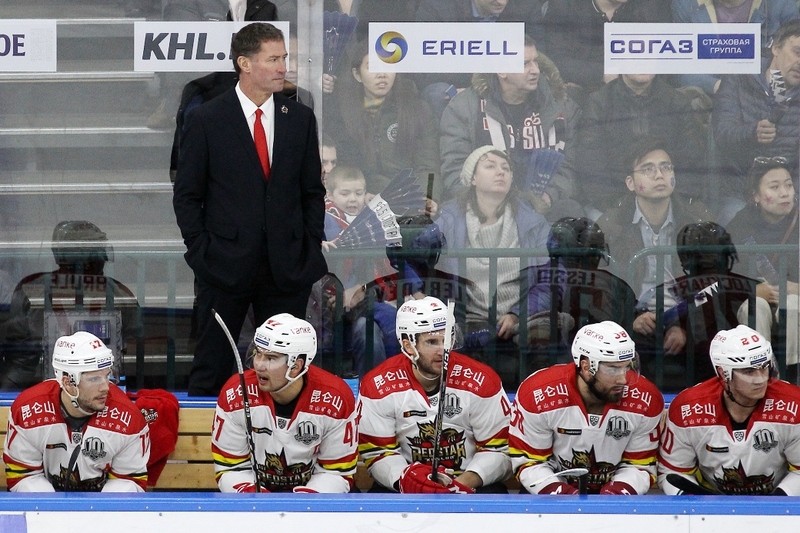 Kunlun Red Star began the new season full of expectations, stocked with Canadians of Chinese heritage, buoyed by the appointment of Stanley Cup and Gagarin Cup-winning coach Mike Keenan, and full of confidence after a stunning debut season in which the team qualified for the playoffs. All seemed well at the start, but then came a dip in form, and another, and soon the Chinese club was in freefall, and there was talk of internal conflict. Soon “Iron Mike” was relieved of his duties as general manager, then his assistant, Bobby Carpenter, was named as interim head coach. It was no surprise when the big summer arrival, Wojtek Wolski, swiftly returned to Magnitogorsk. There was to be no return to the playoffs for the “Dragons.” On the bright side, goalie Magnus Hellberg has agreed a contract extension, and the League looked kindly upon a request from Kunlun to end its season before the Olympic pause, so the staff can already perform its inquest into this season's slump and begin planning for a revival of fortunes in the 11th Championship. - The Chernyshev Division is the only one of the four in which not a single team has yet clinched a place in the playoffs. In my view, Salavat Yulaev will most likely top the Division, as the club has the strongest roster and the easiest finish, with games against Sochi and Ak Bars, and it's probable that all will be settled before the meeting with the Kazan Men. Furthermore, Avangard and Sibir must play each other, so at least one of the pair will drop points, and that is another factor in favor of the Ufa team. Amur faces back-to-back games against Admiral, and if the Khabarovsk guys keep the momentum going and produce the kind of hockey they've been playing up until this pause, then they have an excellent chance of grabbing a spot in the top eight. If that happens, it adds a lot of intrigue to the first playoff round, as Andrei Martemyanov's side would be a formidable obstacle for any team. Sibir has a tough schedule, with games against Avangard and Traktor, and the latter in particular is a tough prospect since the Chelyabinsk Men are determined to move up to fourth place and thus enjoy home advantage in the playoffs. Avangard demands playoff qualification as a bare minimum, and by the time the Olympic break is over the Omsk Men should have their injured players back in the side. Johan Sundstrom is expected to return and Nikolai Lemtyugov is already training again. The Omsk team will therefore be stronger, and German Titov will have enough time to hone the team's cutting edge. 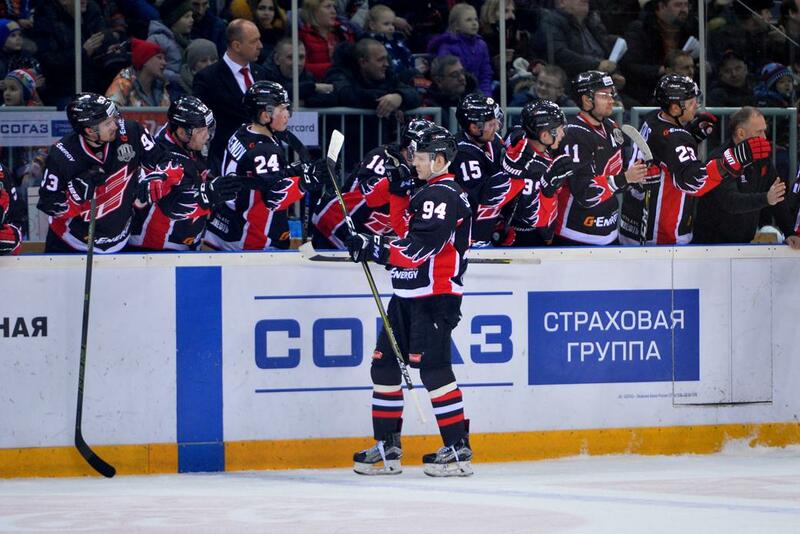 The match against Sibir will be make-or-break for both sides, but one would have to favor Avangard to prevail.